New Merchandise and other Updates! While the Bitten Prim remained active, its creator Morsmordre, took an unscheduled time out from SL when First Life issues kicked her hind end. She is back, and starting out with a foray into Fashion! This mythologically inspired unisex cloak is named for the Triple Goddess the Morrigan! Wear it proudly and let your plumage show! 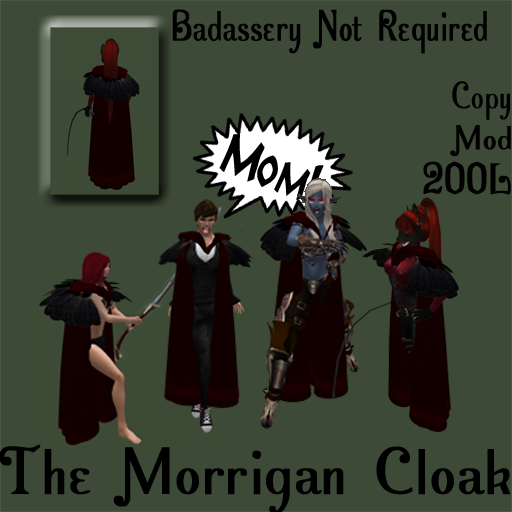 Remember, Badassery is not required to wear this cloak! 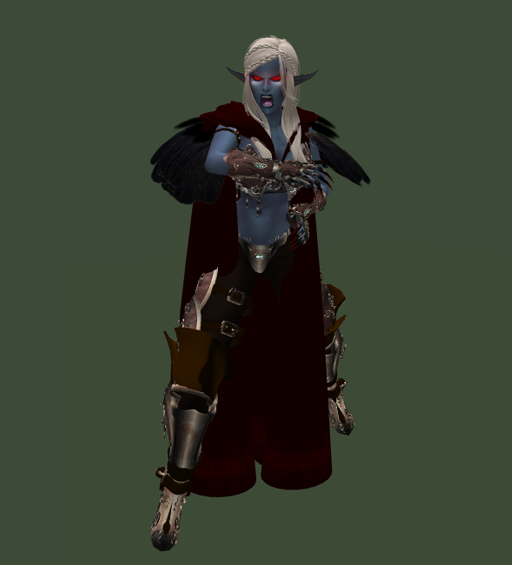 A second line of swords and more sword options are in the works, as well as some armor to go with this fine cloak. Other colors available soon. Once applications are open the Prim will also be entering the Renaissance hunt as was done last year! This entry was posted on September 10, 2012 by thebittenprim. It was filed under Uncategorized .